This Easter we headed south to visit my family. 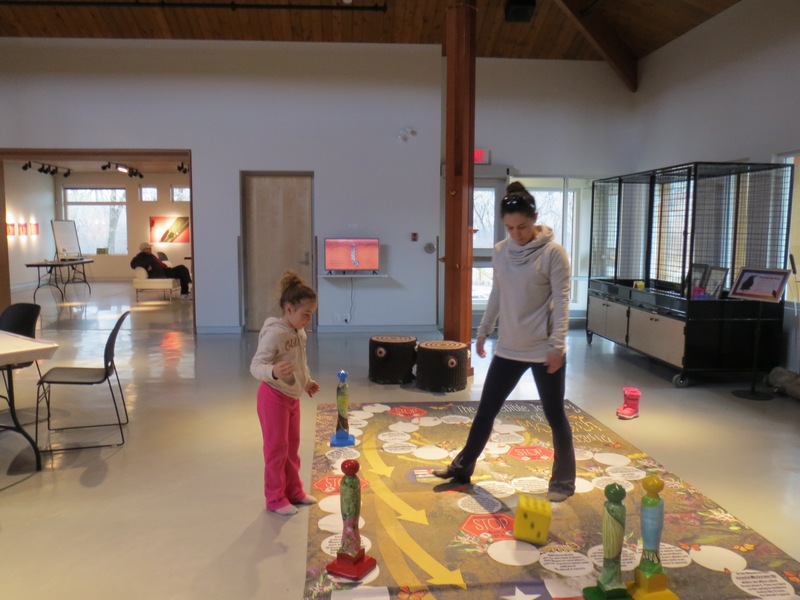 During our stay my mom took my kids to the city’s nature centre. The Helen Schuler Nature Centre. My mom and the kids chatted with the staff. My mom shared my son’s enthusiasm for nature, travel and biology. They spoke with the head volunteer at the centre who was also an enthusiast and he invited my son to return the following Saturday so that he could meet the centre’s head biologist. My son was more than excited because he wants to become a marine biologist. 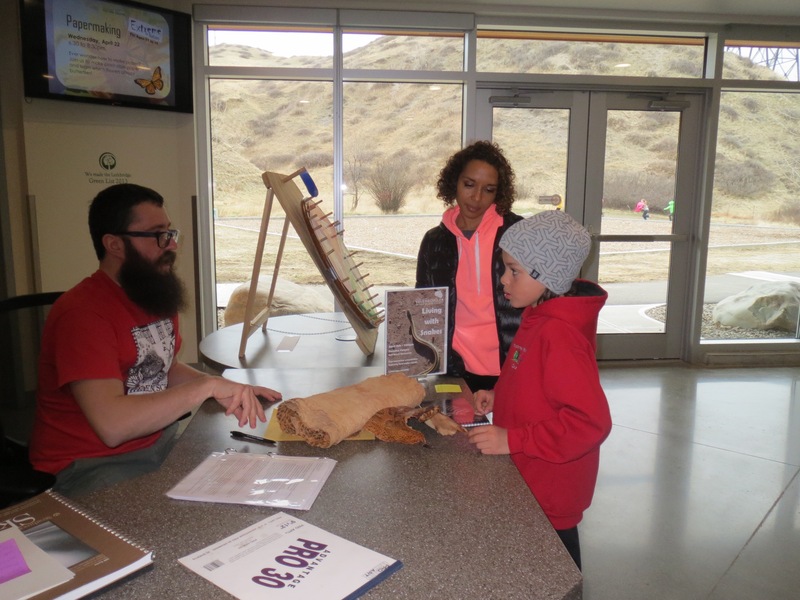 We returned to Helen Schuler that Saturday where my son had a chance to meet Scott, the head biologist who took the time to answer all of his questions and told him a little about his job, his start, and some favourite places to visit as a nature enthusiast. My son was able to hang out with their head volunteer, who is a retired veterinarian. They talked about animals, he held their pet snake, and they went on a walk outside searching for animals. In particular a porcupine in the trees that stays well hidden. One I would never be able to spot on my own. My son was in his element. For me it was a delight to see. My son has now long surpassed me in his wealth of knowledge and facts about animals, species, habitats, and life cycles. I go to him for those answers. I know that he needs teachers/mentors in that field of expertise with that knowledge and passion that will enhance his journey into biology. The staff was exceptional. 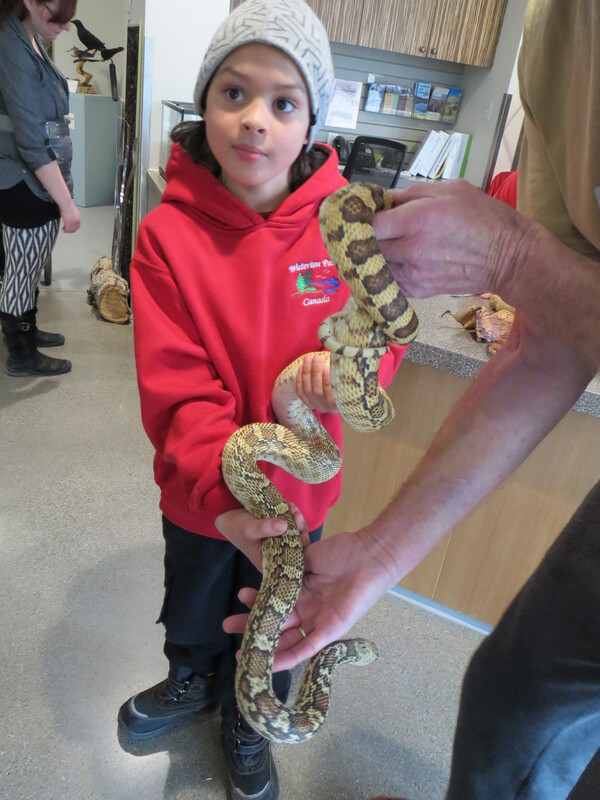 John, the head volunteer brought out the resident snake and Ronan held it while they did an impromptu presentation for visitors. John drilled my son with questions that I did not know the answers to, but of course my son did. My son learned that Scott’s focus is in Conservation Biology. He studied at the University of Alberta. He was a wealth of knowledge and enthusiasm. Both Scott and John knew, shared and therefore understood my son’s absolute joy for nature. It was so apparent to see the essential need for anyone to have a mentor or a relatable expert to learn from. To see how your dreams and enthusiasm in an area can translate into reality. This goes for students in any type of schooling. We are looking forward to a return visit and to meeting more enthusiasts and experts in the field. Ronan and Scott in discussion. Ronan was in his element. It is so important to meet real examples at work! Zahra and her Aunty explored the centre. There was a great feature on butterflies and their migration. Timely topic as we are raising butterflies at home. Let Ronan ,know that I am proud of him , and I will share information with him when I come across outstanding stories. You will have to get him into a school that teaches all about animals and nature. Thanks Dad! We love you.